Top Somali Politician Steps Down, Avoiding Showdown With President Photo The resignation of Mohamed Osman Jawari, right, the speaker of Somalia’s Parliament, could bring a peaceful resolution to his power struggle with President Mohamed Abdullahi Mohamed. Credit Sadak Mohamed/Anadolu Agency, via Getty Images MOGADISHU, Somalia — The speaker of Somalia’s Parliament resigned on Monday ahead of a no-confidence vote, sparing the country a repeat of the armed standoff last week that threatened to descend into violence. 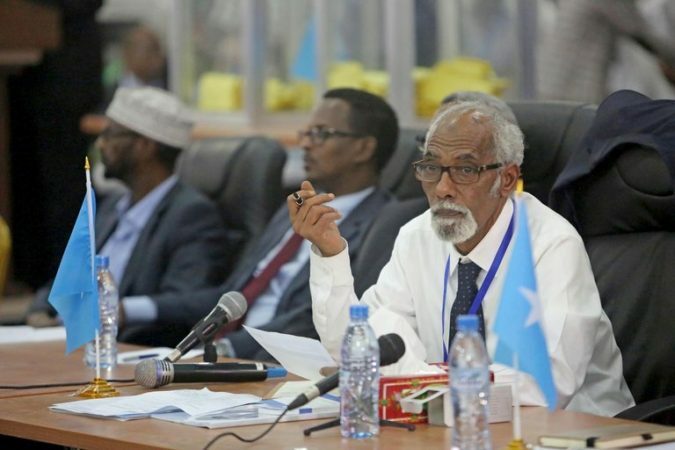 The decision by the speaker, Mohamed Osman Jawari, could mean a peaceful resolution to the power struggle between him and the president, Mohamed Abdullahi Mohamed. Last week, a no-confidence motion by Mr. Mohamed’s allies against Mr. Jawari led to a face-off between armed members of the security services — those loyal to the speaker inside the Parliament, and those loyal to the president outside. The deadlock lasted several hours and ended after mediation by the African Union.. The mystery of a 4,000-year-old ancient Egyptian mummy's head has finally been solved, after the FBI successfully extracted DNA from its tooth. 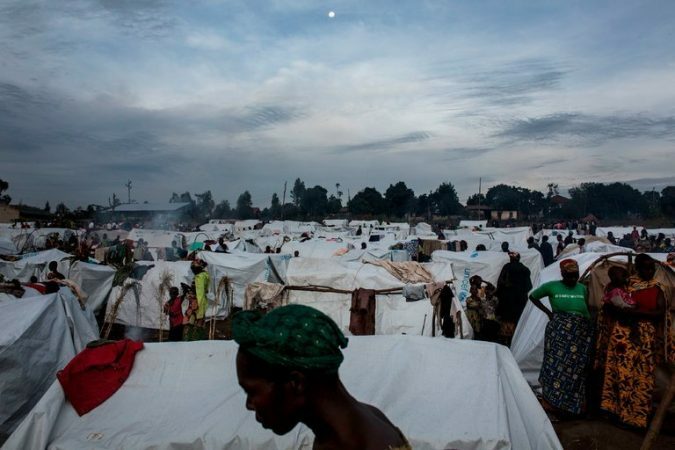 Despite Millions of Refugees, Congo Rejects U.N. Aid Effort Photo A refugee camp in Bunia, Democratic Republic of Congo. Millions have been affected by domestic conflict. Credit John Wessels/Agence France-Presse — Getty Images NAIROBI, Kenya — When the United Nations hosts a donor conference next week to raise $1.7 billion for the violence-racked Democratic Republic of Congo, one important country will not attend: Congo itself. The government of President Joseph Kabila has said that it will boycott the gathering, denying that his central African nation faces a humanitarian crisis at all. The move, which took some diplomats by surprise, was another sign of the increasing isolation of the government of Mr. Kabila, who has faced internal rebellion and international criticism for holding on to power in defiance of constitutional term limits. The government’s increasingly bellicose stance comes as it has been blasting what it calls international “meddling” in the country’s politics. Under i.. 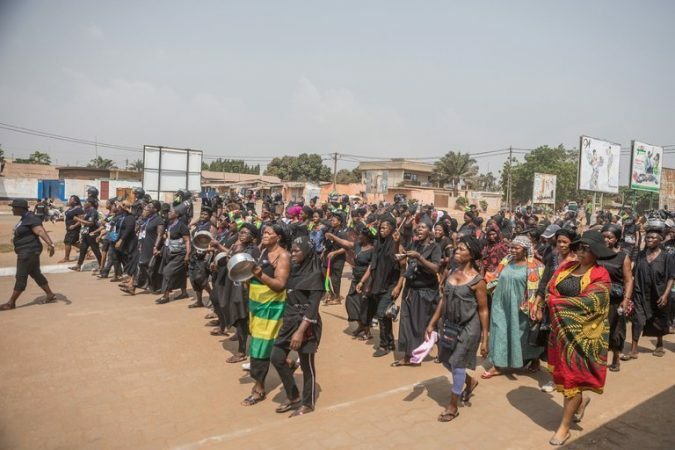 Surgery Lit by Cellphone: Togo Doctors Strike Over Deplorable Hospitals Photo Togolese women protested in the streets of the capital, Lomé, during a January rally against President Faure Gnassingbé, whose family has ruled the country for five decades. Credit Yanick Folly/Agence France-Presse — Getty Images LOMÉ, Togo — The air-conditioner was broken in the sweltering neonatal ward of Togo’s largest hospital, and only one nurse was on duty to attend to the two dozen infants with life-threatening conditions. One infant, Tresor Tsolenyanou, was born in February with gastroschisis, a condition in which the intestines are partly exposed through a hole in the abdominal muscles. He shared a crib wi..
Nigeria's President Buhari refuses to sign West Africa-EU free trade agreement. It follows Nigeria's decision earlier this year not to join the African Continental Free Trade Agreement. Peace Proscovia didn't want to disobey her father, but she had no choice. She had to defy him, fight against her country's cultural norms, to achieve her dream. 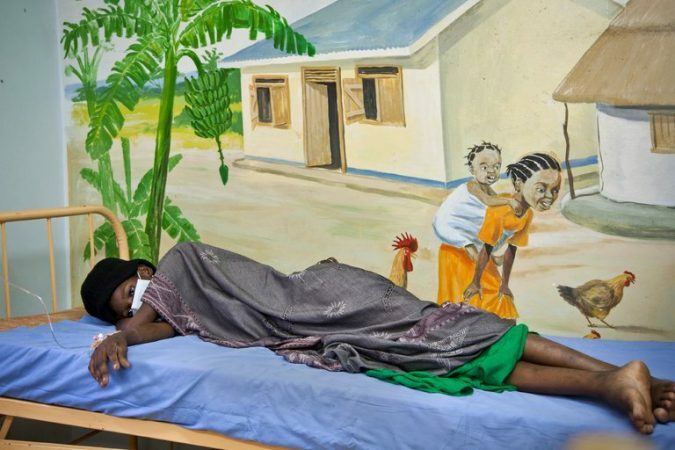 TB Treatment May Leave Some Patients Contagious Photo An HIV-positive woman with tuberculosis symptoms at a hospital in Uganda. Researchers studying TB patients who were also infected with H.I.V. found that they may require higher doses of the standard medications. Credit Rebecca Vassie/Associated Press The World Health Organization’s dosage guidelines for two leading tuberculosis medications may be far too low for patients with H.I.V., allowing them to remain contagious for longer than necessary, a new study has found. TB, now the leading infectious killer worldwide, takes over 1.5 million lives per year. Treatment lasts at least six months and can cause serious side effects, making it difficult for patients to stick to it. Doctors have been prescribing two TB drugs, rifampicin and isoniazid, for almost half of a century. But the new research, published in March in the journal Clinical Infectious Diseases, adds to growing evidence that higher doses may kill the deadly mycobacteria fas..
A community of artists in Nigeria's most populous city are creating art that looks so real it's hard to tell it's not. Armed robbers in central Nigeria used dynamite to blow up a vault in a bank killing,16 people, a police spokesman told CNN.